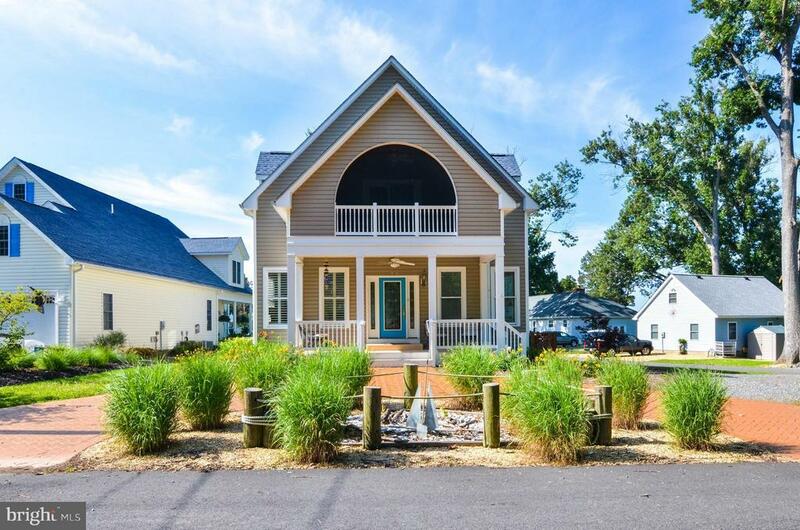 Beautiful home on THE POINT--only one half block from Monroe Bay. Home features a spacious, open floor plan, vaulted ceilings, 1st floor BR w/full BA, main level wood floors, gas fireplace & range, screened balcony off master, on-demand hot water, deck w/awning, patio & detached golf cart shed w/electric & water--and more! Limited water view & walk to marina, sand beach and public boat launch. Selling Agent: William R Montminy Jr.